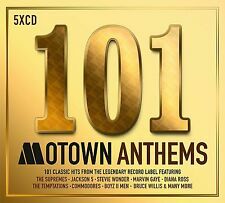 DMC L@@K AT WHAT'S NEW, I LOVE RATPACK SWING & EASY ANTHEMS, 12 MIXES. God Save The Queen. Format: CD. Love Of My Life. The Prophet's Song. Classic Artists. Sale Corner. You're My Best Friend. Label: Uni/Island. Title: Bliss: String Quartets Item Condition: used item in a good condition. Discs will be largely free of scratches and markings. Region Area Breakdown of countries. Platform: - Genre: -. 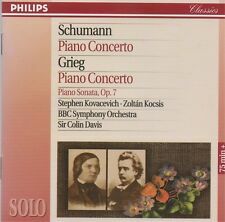 SCHUMANN / GRIEG - Piano Concertos (BBC Symphony Orchestra). CD album released in 1995. The CD is in mint condition. New listingBach, J.S. : Violin Concertos/Double Concerto. Title: Bach, J.S. 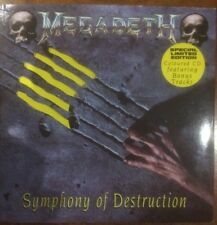 : Violin Concertos/Double Concerto Item Condition: used item in a good condition. Platform: - Genre: -. 3 Southeast and East Asia Breakdown of countries. 0 Multiple Areas Titles can be either NTSC (generally if they originate from the US) or PAL format(EU). New listingChopin: Piano Sonatas Nos.1-3. Title: Chopin: Piano Sonatas Nos.1-3 Item Condition: used item in a good condition. Platform: - Genre: -. 7 Reserved for future use. 6 China China. 3 Southeast and East Asia Breakdown of countries. 0 Multiple Areas Titles can be either NTSC (generally if they originate from the US) or PAL format(EU). 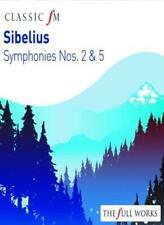 New listingSibelius: Symphonies Nos. 2 & 5. Title: Sibelius: Symphonies Nos. 2 & 5 Item Condition: used item in a good condition. 7 Reserved for future use. 6 China China. 3 Southeast and East Asia Breakdown of countries. 0 Multiple Areas Titles can be either NTSC (generally if they originate from the US) or PAL format(EU). Title: Anthems Collection. Title : Anthems Collection. Artist : Various Artists. Format: Box set. Format : Box set. Release Date : 2015-01-21. Product Category : Music. Label : EU IMPORT. Various Composers : Court Jesters CD (2001)Title: Court Jesters Artist: Various Composers Genre: Classical|Chamber Format: CD / Album Type: CD No. Esbjorn Svensson Trio - Strange Place for Snow. Title:Esbjorn Svensson Trio - Strange Place for Snow. Artist:Esbjorn Svensson Trio. All of our paper waste is recycled within the UK and turned into corrugated cardboard. Vasks / Spikeru String Quartet - Vasks: String Quartets Nos 1 3 & 4 [New CD]. Artist: Vasks / Spikeru String Quartet. Title: Vasks: String Quartets Nos 1 3 & 4. Format: CD. Item Condition: New and unplayed. Title: Beethoven - Late Orchestral Works. Title : Beethoven - Late Orchestral Works. Product Category : Music. Condition : Good. Binding : Audio CD. Label : Classico. New listingPiano Trios (Florestan Trio). Title: Piano Trios (Florestan Trio) Item Condition: used item in a good condition. 7 Reserved for future use. 6 China China. Sourced directly from the manufacturer or distributor of the original release. Zdenek Fibich : Symphonies Nos. 1 & 2 CD (1999)Title: Symphonies Nos. 1 & 2 Artist: Zdenek Fibich Genre: Classical|Orchestral Duration: 71.20 mins Format: CD / Album Type: CD No. of Discs: 1 disc(s) Studio / Label: Naxos UK Release Date: 01 Feb 1999. Wolfgang Amadeus Mozart : Piano Quartets (Leopold String Trio, Lewis) CD (2003)Title: Piano Quartets (Leopold String Trio, Lewis) Artist: Wolfgang Amadeus Mozart Genre: Classical|Chamber Duration: 62.50 mins Format: CD / Album Type: CD No. They have not been refurbished other than cases replaced when necessary. The condition described relates to the disc and is applied as follows;. Acceptable - Significant markings that doesn't affect playback. New listingBeethoven: Piano Concerto No.5. Title: Beethoven: Piano Concerto No.5 Item Condition: used item in a good condition. Platform: - Genre: -. 7 Reserved for future use. 6 China China. 3 Southeast and East Asia Breakdown of countries. 0 Multiple Areas Titles can be either NTSC (generally if they originate from the US) or PAL format(EU). Artist Kiss Title Symphony - Alive IV [Digipak] Release Date 2003-07-21 Label: EMI Records Number of Discs 2. 1 4 Lick It Up. 2 1 Detroit Rock City. 2 10 Rock And Roll All Nite. 2 9 Black Diamond. 2 8 I Was Made For Lovin You. Sonata II in B Flat Sonata VI in G This is a 1990 issue CD on the RCA Red Seal label. The item is used. The CD, Insert and Case are unmarked and in excellent condition. I individually inspect all CDs and try to give full details of the item's condition. A Beautiful Lie. make Supersized seem small. No local pickup is available. Get images that. Jewel cases may vary in condition but cracked or broken jewel cases will be replaced with new cases. 1 WIENIAWSKI - Violin Concerto No.2 in D minor: Allegro moderato / Marat Bisengaliev (violin); Polish National Radio Symphony Orchestra / Antoni Wit [12.13]. 7 VIVALDI - Concerto in C Major: Allegro / Duilio Galfetti (mandolin); Il Giardino Armonico / Giovanni Antonini [2.43]. Title: The Roost Quartets Item Condition: used item in a good condition. Sourced directly from the manufacturer or distributor of the original release. 0 Multiple Areas Titles can be either NTSC (generally if they originate from the US) or PAL format(EU). Zoom > 2CELLOS: Let There Be Cello - 2CELLOS (Album) [CD]. Product 2CELLOS: Let There Be Cello - 2CELLOS (Album) [CD]. Concept2 - 2CELLOS. Eye of the Tiger - 2CELLOS. Pirates of the Caribbean - 2CELLOS. Title: 101 Essential Opera Favourites. Title : 101 Essential Opera Favourites. Artist : Various Artists. Format: Box set. Format : Box set. Release Date : 2010-02-01. Product Category : Music. Condition : Good. 5 SINDING - Rustle Of Spring, Op. 32, No. 6 / Jenö Jando (piano) [2:06]. 3 MUSSORGSKY - Night on the Bare Mountain / Budapest Philharmonic Orchestra / Janós Sándor [11:09]. 7 WAGNER - The Flying Dutchman: Overture / Budapest Symphony Orchestra / György Lehel [9:51]. 2019 release. Artist: Joshua Redman. Circle of Life. Format: CD. I'll Go Mine. Condition: New. Of Discs: 14 disc(s) Studio / Label: EMI Classics UK Release Date: 24 Oct 2011. Disc 9 4 Finale. Disc 9 3 Scherzo & Trio. Disc 9 2 Andante Con Moto. Disc 9 1 Andante - Allegro Ma Non Troppo. Disc 8 5 Ode to Joy. BEETHOVEN SYMPHONIES No. 3 "Eroica" and No. 8. CD album released in 1996. Edward Elgar : Cello Concertos CD (2001)Title: Cello Concertos Artist: Edward Elgar Genre: Classical|Classical Duration: 59.10 mins Format: CD / Album Type: CD No. of Discs: 1 disc(s) Studio / Label: Sony Classical UK Release Date: 09 Jul 2001. Format: CD. We specialise in Rock and Pop CDs. Classic Artists. Sale Corner. The Beatitudes. Fratres For String Orchestra And Percussion. Seven Magnificat Antiphons. Summa For String Orchestra. 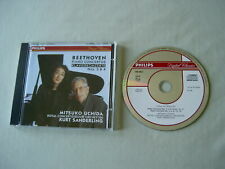 Title Beethoven: Eroica Symphony Label: EMI Records. Artist W.A. Mozart Title Symphonies Release Date 2011-01-01 Label: EMI Records Number of Discs 1. 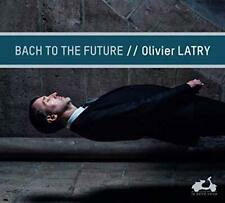 Of Discs: 1 disc(s) Studio / Label: Naxos UK Release Date: 15 Mar 2000. Disc 1 13 Marche Du Grand Escalier 1.18 mins. Disc 1 35 Songe Creux. Disc 1 34 Profondeur. Disc 1 33 Prelude Canin. Lent 1.02 mins. Various - Barnum. Title:Various - Barnum. Your item will be previously owned but still in great condition. The disc will play perfectly without interruption and the case, inlay notes and sleeve may show limited signs of wear. Karl Jenkins : Adiemus V - Vocalise CD (2003)Title: Adiemus V - Vocalise Artist: Karl Jenkins Genre: Classical|Vocal Duration: 68.20 mins Format: CD / Album Type: CD No. of Discs: 1 disc(s) Studio / Label: EMI Classics UK Release Date: 06 Oct 2003. Artist Brahms Title Brahms - Violin Concerto; Release Date 1993-07-20 Label: EMI Records Number of Discs 1. 1 12 Hungarian Dances, No. 21 In E Minor. 1 11 Hungarian Dances, No. 20 In E Minor. 1 10 Hungarian Dances, No. 19 In B Minor. We want your experience with World of Books Ltd to be enjoyable and problem free. Your item will be previously owned but still in great condition. The disc will play perfectly without interruption and the case, inlay notes and sleeve may show limited signs of wear. Disc 1 16 Vienna, City of My Dreams 4.33 mins. Disc 1 15 Overture To Die Fledermaus 8.20 mins. Disc 1 13 Waltz Dreams 6.45 mins. Disc 1 12 Court Ball Waltzes 5.36 mins. Disc 1 11 Overture To Countess Mariza 4.13 mins. Artist Mozart Title Horn Concertos 1 2 3 Release Date 1997-10-23 Label: EMI Records. 1 11 Con in C, K 285d: Rondo: Allegretto. 1 10 Con in C, K 285d: Adagio Non Troppo. 1 9 Con in C, K 285d: Allegro Aperto. Various Composers : Movie Adagios CD (2002)Title: Movie Adagios Artist: Various Composers Genre: Classical|Compilation Duration: 155 mins Format: CD / Album Type: CD No. 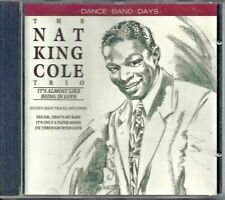 of Discs: 2 disc(s) Studio / Label: Decca Classics UK Release Date: 28 Jan 2002. Title Mozart: Flute Concerto Label: EMI Records Number of Discs 1 Info: Wolfgang Amadeus Mozart. Piano Concertos Nos. 4 and 5 CD (2004)Title: Piano Concertos Nos. 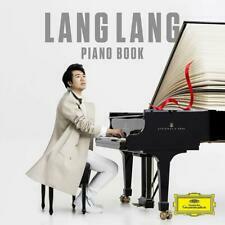 4 and 5 Genre: Classical|Orchestral Format: CD / Album Type: CD No. of Discs: 1 disc(s) Studio / Label: Air UK Release Date: 26 Jul 2004. 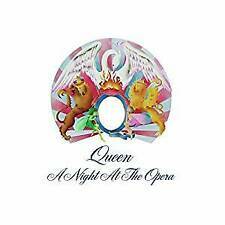 Of Discs: 1 disc(s) Studio / Label: Universal Classics UK Release Date: 18 Feb 2008. Disc 1 10 Twilight 1.01 mins. Disc 1 9 Goodnite 3.05 mins. Disc 1 6 Quiet Fire 4.14 mins.